Ask anybody with the right head on their shoulder which American-born car is considered the most popular of them all and there’s a good chance that you’re going to get a consensus answer. 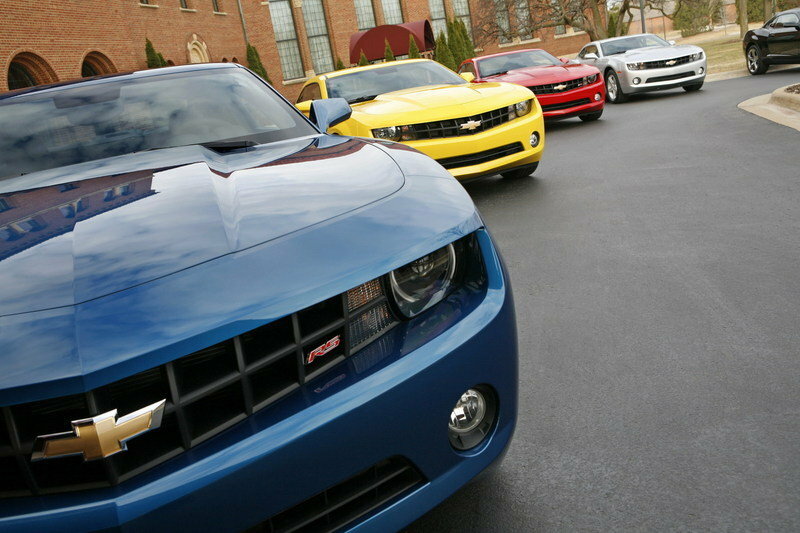 There’s a full roster of them but the Ford Mustang belongs right on top of that list. Born in 1964, the Mustang is the third oldest nameplate in the Ford line-up, having gone strong for the better part of four decades and giving birth to five generation’s worth of outstanding muscle car awesomeness. The fifth and current generation Mustang was first introduced in 2005, marking the return of the retro style design of the original Mustang from the 60’s. After taking a different approach with the third and fourth generation models, Ford decided to bring back the muscle car’s classic looks, albeit with a more modern iteration. Combining a stunning "retro-future" look with an impressive choice of powertrains, the Ford Mustang is a four-wheeled thoroughbred that has stood the test of time as a modern-day classic. 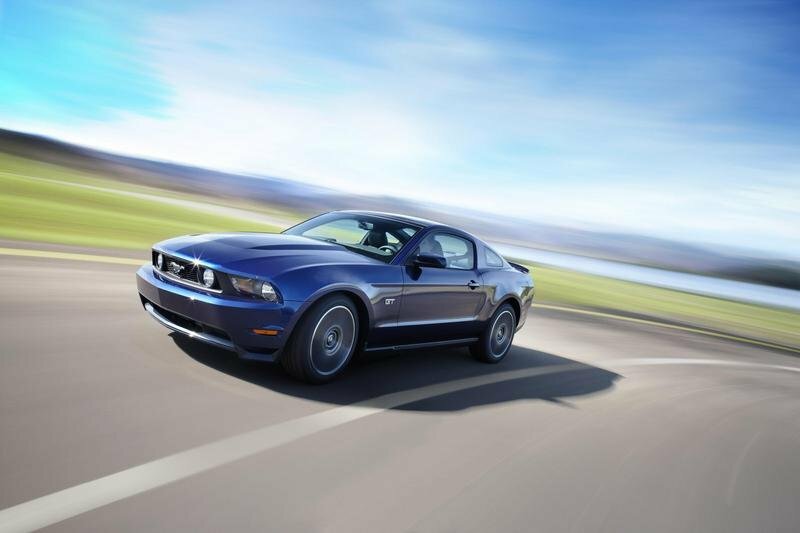 Find out more about the 2005-2013 Ford Mustang after the jump. The fifth generation Ford Mustang went back to the design inspiration of the original Mustang with the round headlights returning to the fold in place of the rectangular set-up of the third and fourth generation models. The car was first introduced at the 2004 North American International Auto Show and was developed under the leadership of Ford chief engineer Hau Thai-Tang with the idea of bringing "retro-futurism" to the current design of the muscle car. For the first couple of years, the Mustang carried the design cues of the classic Mustangs of the 60’s. 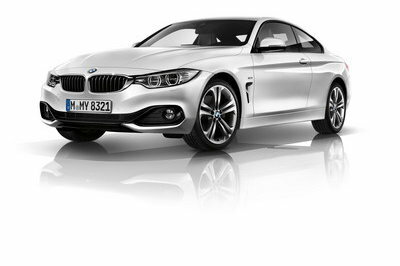 It came with C-scoops on the sides, three-element taillamps and a galloping horse badge in the center of the grille. The shark-like nose exudes the spirit of its predecessors while the jeweled, round headlamps in trapezoidal housings are part of the muscle car’s striking new modern architecture. Other design elements of the Mustang include Pony front fender badges, a lower door tape stripe, carpeted front floor mats with special brushed chrome "Mustang" logos and a rear spoiler. The design of the Mustang remained largely the same until 2010 when a refreshed model rolled out with a plethora of changes to the car’s overall look. 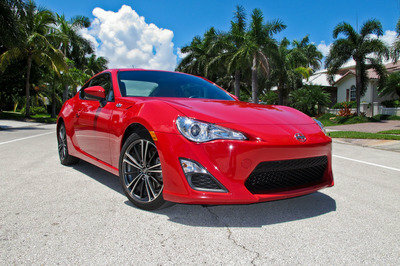 Everything on the outside of the car has gotten a lot sleeker and more refined. The turn indicators have been incorporated into the design, the fog light fit in the grille better while the tail lamps have more curves into them. 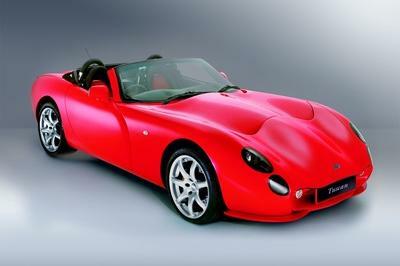 These changes, as are smaller improvements, were also given to the 2011 and 2012 models of the Mustang. The next step for Ford, or at least as far as what the grapevine’s are suggesting, is a refreshed model for the 2013 model. The initial report is that the car is going to carry over some of the design cues from the Shelby GT500, including a smaller and rounder lower grille, a puckered up front grille, and an updated lighting system that features new uses of LED lighting technology. The 2013 Mustang is expected to be unveiled at the Los Angeles Auto Show this coming November. 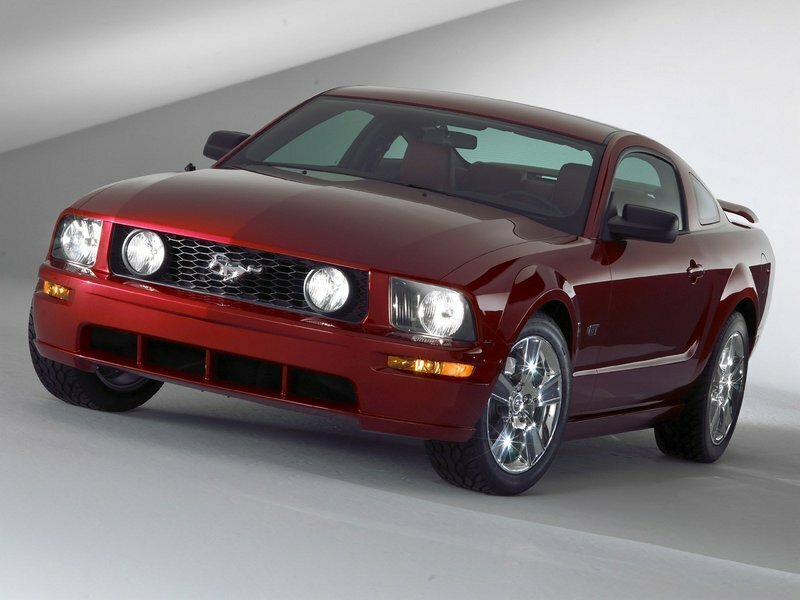 From 2005-2009, the Ford Mustang carried the base 4.0-liter SOHC V6 engine that produced 210 horsepower at 5,300 rpm and mated to a 240 lb/ft of torque at 3,500 rpm and mated to a five-speed manual transmission. For the 2010 model, Ford continued to carry the 4.0-liter SOHC V6 engine while including the 4.6-liter V8 - and upgraded version from the 2009 Mustang GT model - into the mix. 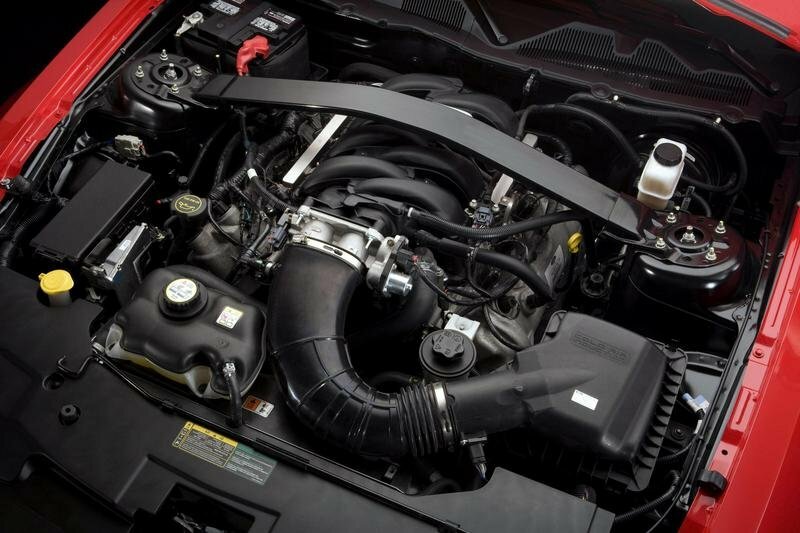 This particular powertrain carried an output of 315 horsepower @ 6,000 rpm and a peak torque of 325 lb/ft @ 4,250 rpm. 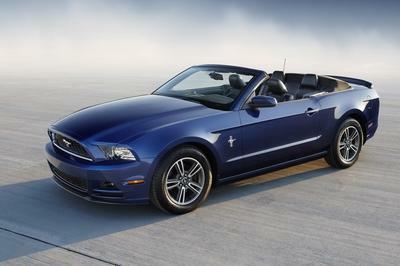 In 2011, Ford introduced a higher-line Mustang to the mix, bringing back the muscle car’s old ’5.0’ moniker. 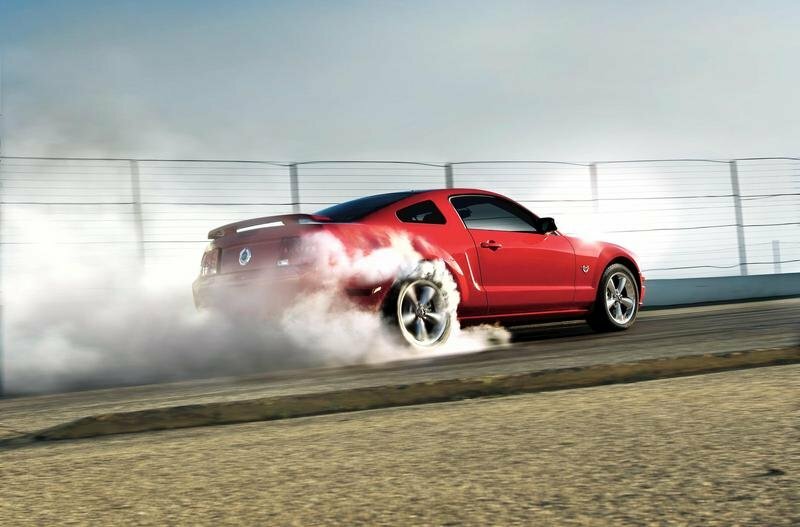 The Mustang GT 5.0 came with a 5.0-liter V-8 engine that produced 412 horsepower and 390 lb/ft of torque. Likewise, the old 4.0-liter V6 engine was officially left on the shelves in place of a Ford Duratec 3.7-liter DOHC V6 engine that featured a Twin-independent Variable Cam Timing (Ti-VCT) dual exhaust, delivering an output of 305 horsepower @ 6,500 rpm and 280 lb/ft of torque @ 4,250 rpm. The upcoming 2013 Ford Mustang will also get a modified powertrain in the form of the same 5.0-liter V8 engine from the 5.0 GT, albeit with an improved output to 425 horsepower. Since the fifth generation For Mustang was introduced in 2005, Ford has made a nice habit in producing a bevy of special edition models for the iconic muscle car. In the six years that its been around, we’ve seen the likes of the GT California Special, the Bullitt, the Shelby GT500 Super Snake, the Boss 302, and the Cobra Jet. These special edition variants came with their own unique powertrains independent on what the standard Mustang carried. For instance, the Boss 302 comes with a 5.0-liter V8 engine that delivers 440 horsepower and 380 lb/ft of torque, Then there’s the Cobra Jet, which is powered by a revised 5.4-liter DOHC supercharged engine that produces 430 horsepower, and then there’s the Shelby GT500 Super Snake is powered by 5.4-liter supercharged V8 engine that produces an insane 800 horsepower. There’s no question in anyone’s mind who the Ford Mustang is rightly compared with in the industry. The Chevrolet Camaro. 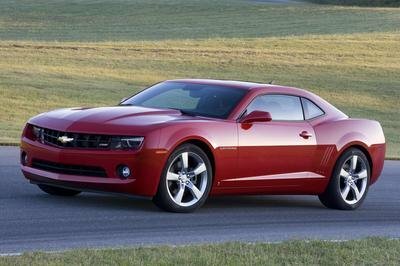 Just like the Mustang, the Camaro has enjoyed a bit of a popularity renaissance since the introduction of the current generation model. Everything about the rivalry between these two models can be highlighted in the simple fact that both brands - Ford and Chevrolet - continue to improve on their respective models while also keeping an eye out on what their rivals are doing. And just like everything that represents old-school muscle Americana, the Mustang and the Camaro have their own legions of passionate fans, content in praising their model of choice and brushing aside their rivals at any moment they can. Whatever allegiance you may have for any of these two muscle cars, one thing will remain certain, as it has over the past 40 or 50 years: the Mustang and the Camaro will always be mentioned together, intertwined in history as rivals then, now, and in the future.